SOUL. A word that doesn’t get used much. Urban. R&B, AC, Top 40. But not SOUL. It’s just as hard to see it. SOUL doesn’t get a million You Tube hits. It doesn’t win reality TV shows. SOUL isn’t on the cover of magazines. SOUL doesn’t sell shoes. SOUL doesn’t have a personal assistant or a clothing line. SOUL doesn’t endorse soft drinks. SOUL soothes. SOUL loves. SOUL heals. SOUL moves. SOUL inspires. SOUL dances. papaLee’s album is titled SOULvival. Like any good SOUL man, papaLee wears his SOUL on his sleeve. And with good reason, as papaLee isn’t merely a singer. He’s a SOUL singer. A practitioner of SOUL. And his debut album SOULvival is a glimpse into the SOUL of papaLee. Ten tracks on a knockout debut album. An album that papaLee himself states “ It’s only the most significant thing I’ve created in my life”. That’s a statement that means a lot coming from an accomplished composer, singer, and producer who grew up as William Hanford Lee Jr. in cozy Sacramento, CA. In the music world, he’s worked with the likes of Leona Lewis (discovered by Simon Cowell of American Idol fame), Tony Terry, and Terry Dexter. In the realm of film and tv, he’s had music used in blockbusters like Terminator Salvation, and Pelham 123 and on shows like Bernie Mac and Burn Notice. He’s a lifelong musician who’s been performing, writing or producing music since he was 12 years old. SOULvival says a lot. And it’s said with a polished blend of funk, hip-hop, blues, even a little gospel, but above all else SOUL. Listening to his track Pray For Me is gently moving. This modern day hymn starts with papaLee’s steady acoustic guitar strum. Then the singing that starts as a wail…and ends up as a defiant roar. The drums, the build-up and the voices creating living, breathing SOUL music. Beautiful is the selection on SOULvival that holds a special place in papaLee’s heart, “Beautiful is what I hope EVERYONE knows they are on the inside. I wrote it as a love letter to my first child on the way. Becoming a father really shifts your focus toward things like your legacy, your purpose and can give you some serious clarity,” he explained. In 2010, SOUL returns. SOUL will make you feel good. SOUL will make you dance. SOUL will make think. SOUL will make you love. Because SOULvival, and papaLee…are here. 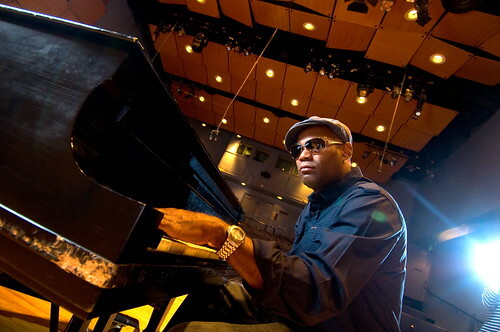 “William Hanford Lee, Jr. – or as we “in the industry” call him, “Bill” – is a true musical genius. He’s an amazing producer, singer and songwriter wrapped in one, which is rarity. A genuine class act!” – Terry Dexter, singer, recording artist, actress.